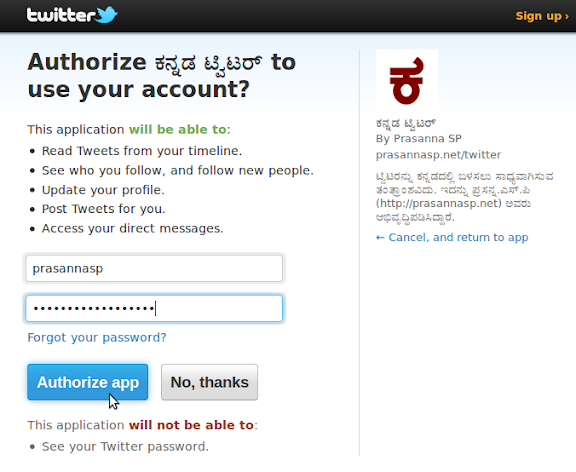 This is a Kannada interface for Twitter’s API. It enables the users to use use Twitter in Kannada language. All menus, links, instructions and error messages in this application are in Kannada language. It is an open source project. So you can use, modify and spread this with your friends at free of cost. Works on OAuth. So no need to disclose your twitter password. Image uploading is supported via Twitpic. As this application is in Unicode, it can be used in most of the computers as well as in the mobile phones which supports Unicode. 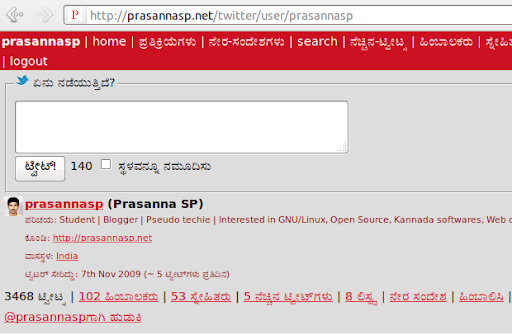 Get kannada-twitter zip archive from here. 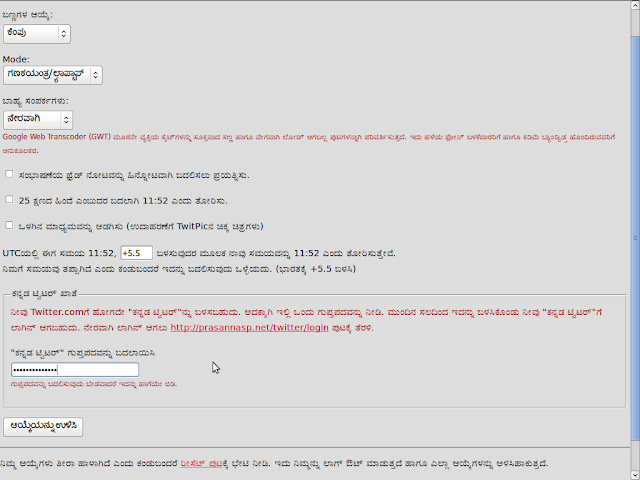 Or you can download kannada-twitter.zip archive from Google codes. Extract the contents of zip archive. 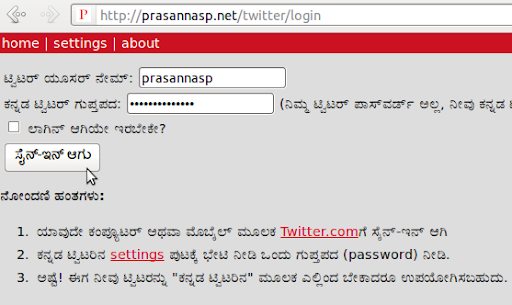 Kannada-twitter has been designed to work on Apache, with PHP 5.2+ (because it uses the json_decode() function). You need to copy all the files onto the server for it to work. No database is needed unless you are going for MySQL installation. Change ENCRYPTION_KEY in config.php to a random string of gibberish, maximum 52 characters. Paste your twitter Consumer key in OAUTH_CONSUMER_KEY and Consumer Secret in OAUTH_CONSUMER_SECRET. Go to http://dev.twitter.com to get your Consumer key and consumer secret. BASE_URL is worked out automatically, but can be hard coded if you prefer. Kannada-twitter should now be up and running. There’s no other configuration to do.